Upon release, the Vitamix 5300 blender had created some confusion among shoppers. While it looked like the more advanced Vitamix 7500 it is not a Next Generation blender. The 5300, like the Vitamix 5200, is a Classic C-Series model. Below is our Vitamix 5300 review and comparison of this hybrid Vitamix made exclusively for Costco and available on Amazon (the Vitamix 5300C is the identical blender as the 5300). With the release of this unique model for a specific market segment, we’ve received a lot of customer questions. Below we answer them all. The release of the Vitamix 5300 created stir because it came on the heels of the Next Generation (7500/750) release which introduced the new low-profile 64-oz blending container. With the introduction of this new container Vita-mix stated that the low-profile 64-ounce container can not be used with any C-Series models because the size and width of the compact container blade puts undue stress on the classic motor. Therefore, the new container could not be used with any of the C-Series models. The Vitamix 5300 is essentially a C-Series model with its motor having additional power to handle the added force of the wider container. This has allowed the use of the new blending container. Both models come standard with the same, shorter, compact 64-ounce container which introduced a concern. One other minor difference worthy of noting is that the 5300 comes with the getting started guide and cookbook all in one and does not include the tutorial DVD that comes with other models. Some people find the DVD a valuable addition. This results in a sound level difference perceived as approximately double (more about decibels). “The 5300 machine has a different motor under the hood with more hp… The 5300 is configured under the hood very similar to our C Series and does not have the sound reducing components of the G Series“. After months of putting the 5300 to the test we have concluded that it performs the same as the 7500. Ultimately the difference between the two is sound. Both are Classic C-Series blenders without the advanced engineering to reduce sound like the G-Series 7500, 750 and 300. The 5300 does not have a hi/lo switch, but instead has a pulse switch in its place. The low-profile 64-oz container comes with the Vitamix 5300 and an advertised “more horsepower” base. Essentially, the main difference between the Vitamix 5200 and 5300 is some slight tweaks to the motor design that allows for the use of the low-profile blending container with the 5300. With the recent release of the Vitamix Explorian Series there have been questions about how the Vitamix E320 compares to the Vitamix 5300. Well essentially they are the identical blender. The E320 is the “new version” for Costco that replaces the 5300. The E310 is identical to the E320 but with the 48-ounce blending container. There is a small difference in the style but the function of E320 and the 5300 is the same. Other than looks, the E320 does not have the on/off switch that the 5300 has, instead the start/stop switch has reverted to the on/off of the legacy series design. If you were to decide between the two, go for the one that cost less because otherwise they are the same. While the 7500 is still our favorite classic model, after putting the 5300 through the test, if the sound level isn’t so important to you, we can conclude that for the price it is a good choice. We feel the 40%, or so, sound reduction of the 7500 makes it preferable but cost is cost. Compared to the 5200, the benefit of having the low-profile container for a C-series can be beneficial and the sound level is about the same. Ultimately, it’s all about how you feel about a reduction in sound volume. If you are wanting the proven power with quietness, and new technology of the latest Next Generation then you should consider the 7500 or an Ascent Series rather than a classic model. If you are not needing, or wanting, the added costly features of the Next Generation or Smart System then a 5200 or the 5300 would likely be a more cost effective choice. If price is a major concern then we recommend a Reconditioned Vitamix 7500, when available, or any other reconditioned model, including the Vitamix 5300. Ensure you buy the best Vitamix for YOU. Comment below or contact us with additional questions about the Vitamix 5300 – we love to help. Should I buy a reconditioned 5300 for $259 and 5 years warranty or an E320 for $299 with 7 year warranty. Is the E320 quieter? The 5300 and the E320 are essentially the same blender. The sound levels also are the same. I hope that helps with your decision! Thank you for your feedback. May you have many years of healthy blending! If I have a tall 3″ blade pitcher from an old Vitamix can I use it on the 5300, which had the low profile pitcher? We have been using a tall blending container for years on the G-Series, which also comes standard with the shorter compact container, without any issue. In testing the 5300 we had the same results and without issues using the tall container. The tall 64oz container has essentially the same configuration as the 32 oz and 48oz which are sold for the G-Series (and 5300). 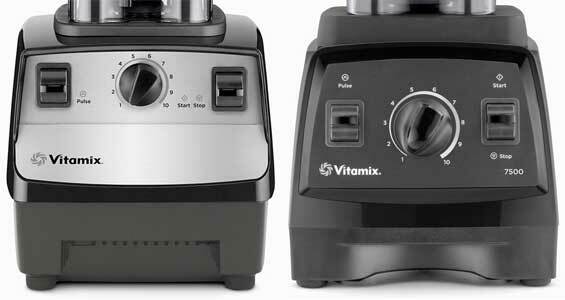 Is the Vitamix 6500 a next generation or is it like the 5300? Jesse, the 6500 is not a next generation. It is a Costco model similar to the 5300 in that it comes with the shorter, compact 64 oz container. The difference between the 6500 and 5300 is that it comes with the 3 pre-programmed cycles: Smoothies, Frozen Desserts, and Soups (same as the Vitamix 6300 / 500 that it replaces). Yes, any Vitamix 32 oz container you purchase, regardless of the place you buy it from will fit and work with your 5300. You can oftentimes find them for the best price on Amazon with free shipping and no tax (depending upon your location). I was in Costco on Sunday May 1 and saw a demo of the 5300 and it didn’t seem too loud. That was supposed to be the last day of Costco’s $340 price, but I notice that their web site has the sale going through May 8, so I will call my Costco to see if it has extended the sale as well. I notice that Amazon has some quality ear protection muffs for around $20. It would be a good idea to wear those with the 98 db reported for the 5300, and probably also with the 7500 at 88 db. I recently came across on the Internet, the site froothie.com selling in the US a line of blenders from Australia called Optimum. They have models 9200A (presets only) at a special 60% off retail at $300 with a motor they claim is 3.5 HP and a model 9400 with a 3 or 3.5 HP motor at a much higher price of $579 with similar controls of Vitamix models 5300, 7500, etc. They entered the US market last fall, but it looks like they have a great reputation in Asia and Europe. Do you know anything about them? There are several videos comparing them to Vitamix on Youtube. Thank you. Sound level is a personal experience, for some it is extremely important, for others it makes no difference. We use our blenders A LOT, sound matters, and I do not wish to wear head gear in my kitchen nor disturb my neighbors (our most used blender is a Blendtec Pro 800 because it is the quietest, and an amazing blender). For some folks saving a few bucks makes the sound level difference justifiable. And if you have never experienced either of the blenders in person then you can’t know the difference. There has been a boom of Vitamix knock-off blenders recently to capture market share since the Vitamix patents expired. Most are low-quality look-a-likes made in China by newly formed companies that have some marketing spin to demonstrate how their product is “superior”. We have no personal experience with Optimum blenders but we did a lot of research on them when they came out. We were unsuccessful in finding how the company handles warranty repairs, whether they are taken care of in the US, Australia, or elsewhere, nor what exactly is covered and required for qualified service. We also found that they do not disclose where their products are manufactured – direct from Optimum: “All parts used in the Optimum blenders are manufactured around the world. Compare that to Vitamix with over 70 years experience and their blenders made in the USA, assembled and serviced in Ohio. Lakeisha, I hope we sufficiently answered your question too. Let us know if we can be if further service. Enjoy your 5300 and noise reducing headset, I prefer the 7500 without one 🙂 Thanks for all the info! If it’s about saving money there are plenty of other options to save a lot more. I guess it’s all about what’s important to you. At least now I have more info to make a better choice. I’m interested in getting the 5300 from Costco. I have fybromigla and I would like to blend avocado seeds, for smoothies etc, they’re packed with wonderful vitamins that will naturally help me. Will the vitamix 5300 handle the seeds. I’ve heard yes… But just wanted to confirm. Yes Danielle, the 5300 can handle avocado seeds. I just purchased the 5300, but want to add on the 32 oz container. If I get it from a 3rd party, are the blenders made for Vita Pro and Vita Prep compatible with the C-series and G-series? Gillis, the Vitamix 32 oz container is compatible with both C-Series and G-Series blenders. The Vita Prep has the same base and accepts the same blending containers. If by “Vita Pro” you are referring to the “Professional Series” they are C-series Vitamix blenders. May you enjoy many years of healthy blending with your 5300! The Vita Pro and Vita Prep I am referring to are some of the “commercial” blenders, they are on the Vitamix website. The pictures look the same, but it is almost impossible to figure out this answer from their website. I was hoping someone might know. Thank you so much! It is a pleasure to be of service. Please let us know if you have any other questions. Yes, my question is still whether those are compatible. The Vita Pro and Vita Prep are not C-series, not the Professional ones; rather, they are in the commercial blenders under the “Business” tab for commercial blenders. But the actual containers look the same. I am wondering if anyone knows the answer. Thanks! Among the commercial models the the Vita-Prep series/Bar Boss/Drink Machine, are nearly identical to the C-Series – they have the same base and similar motor with a different warranty (for commercial use). These containers are the same and are compatible with your 5300 (other specialty containers that come with models such as the Blending Station/Quiet One/XL/etc. are different, look different, are generally not compatible). preetis, you should be able to make your juice the same as you did with your 5200. The 5300 on its max setting (10) is the equivalent to the 5200 switched to hi. Is the 5300 plastic container BPA-free? Yes Kevin, the 5300 container is BPA-Free. All Vitamix containers are BPA-Free. THIS SITE AND ALL THE REVIEWS totally helped me so THANK YOU To everyone that contributed!!!! I realize that both blenders are amazing, especially coming from a kitchenaid, but I had thought that after waiting for so long, what is an extra 80 bucks?!?! I went in to Costco, heard the blender in action and it was SO loud!!!! And this is coming from a girl who dances NEXT to a speaker every time I go out and also blasts music in her car! Lol But there was something about the frequency that really bothered me. So opted not to purchase and then decided to ask my husband what he thought. Well, he agreed, for 80 more dollars and a great warranty still, why not get the one I want?!! So thank you! Thank you so much! Loving this Vitamix already and looking forward to making Christmas soup tomorrow for the family! Thank you so much, again, great website! Great contributions!!!!! For anyone in the same scenario, spend the extra 80 dollars! Totally worth it! Their shopping time was under 24 hours too!!! Amazing, especially around Christmas!!!!!! Yay! Happy Holidays!!!! Kim, Thank you so much for your feedback. It is our pleasure to provide reviews and info to help make informed choices. Responses like this make it all worth while! May you enjoy your Vitamix for many years! Thank you! I am obsessed with it! Used it every day and sometimes more than once! I’m even bringing it with me to the beach this weekend! Lol Happy New Year!!! I got the vitamix 5300 from Costco and the sound noise is not that bad. It’s not as bad as what I’ve been reading online. In fact I find the 5300 to be quitter than other all other blenders I’ve owned in the past. All blenders make some noise and you should not be concerned for just few seconds when making smoothies. Making soups in high powered blender for a continuous 5 minutes can indeed be annoying due to noise just like a vacuum cleaner. If your blender sits on a wooden counter, it will make more noise. Try putting a soft rubber or folded towel underneath your blender and the noise will be reduced. You can even sit the blender on the floor carpet. To me there is no clear advantage in getting the 7500, the 6500 and the 750 except for the extras and/or presets. I do not have the black specs from my container. Thank you for your feedback Ara – enjoy your 5300! Hello, can you please tell me if the 5300S comes with 2 different balds one for dry and one for wet? No mimi, the 5300 comes with the standard blade container (wet) only. The standard container can blend dry ingredients as well. If you want a separate container for dry then you would need to order the dry grains container separately. The 5300 has the same motor as next generation models. I know this for a fact. The category of standard and next generation relates to the components alone not the motor. There is no “standard” 2.3 hp motor or “updated standard motor” as you suggest. They are one in the same. What you are paying for in g-series is the modern case design, sound and heat reduction (component related). Power and performance or equal. Eric, thank you for your feedback! As we summarized above, the main difference is in sound due to the “component related” advances of the Next Generation models. We included the info we received directly from Vitamix, if you need additional details contact them directly. Healthy blending! I am in love with my BFFs vitamix 7500 but couldn’t believe the price. When I was in Costco, I bought the 5300 because it was “cheaper”. I got home to use it and o my goodness! It is not a 7500. It is so much louder. I guess you get what you pay for. This one is going back and I am looking into a reconditioned for the same cost. Thank you for all the information- you rock! Sherry, I’m happy to know we have been helpful – may you have many years of healthy blending with your new Vitamix! I just purchased the 5300 from Costco yesterday. I made the purchase because of the features of the 5300 and the reasonable price. This is my first vitamix. I made smoothies this morning and was very happy with the ease of making the product and the consistency. Maybe it”s just my hearing, but the noise level of the machine was not bothersome in the slightest. From all of the hoopla that I”m reading here, I expected it to sound like a jet engine. It wasn”t even close! Since it has been suggested that the 32oz container be used for smaller batches than 3 cups, can anyone tell be the difference in the 32oz dry container and the 32oz wet container? Is it the pitch of the blades, or the length of the blades? Congratulations Guy on your first Vitamix! The difference between the 32-oz container and the dry-grains container is the blade; the container itself is identical. The blade on the on the small 32-oz is the same blade as all other classic containers. The dry-grains blade is the same size but designed differently, specifically for dry blending. Simply speaking the blade emphasizes pushing contents up the sides of the container preventing packing around the blades and in the corners. This results in greater efficiency in “dry” blending and mixing. I was finally able to compare the noise side by side of a 5300s vs. 7500. (I am just a fellow consumer not associated with this site). Using a sound level meter on an iphone, the 5300 came out to 98db on average on high and the 7500 came out to 88db on high on average. My own personal opinion is that the 5300, while I think it is an excellent machine, has the increased motor and hp of the 7500, however, because they did nothing to dampen the sound, it is MUCH LOUDER. I think it is even louder than the other c series models like the 5200 because I just saw a 5200 at a Whole Foods demo and it sounded much quieter and I measured it at the demo and it was at least 5db lower than the 5300s. These are all unscientific measurements since it is just an iphone app … and measurements taken in uneven environments, but I just wanted to share my findings. The 5300s sounds REALLY loud to me. Thanks SquirrelPDX! Super helpful. Did you end up getting a 7500 (as you had contemplated) or did you take a decibel reading from someone else’s? Really glad now that I didn’t get the 5300, in view of the fact that it’s even noisier than the 5200…. A huge handful of thank-yous, SquirrelPDX! Your insights will probably help a lot of other folks, too. I doubt that too many people have compared the two models head-to-head (esp. with a decibel meter) like you have. And so now…what to do with the 5300? Take it back to Costco? Thank you for the info SquirrelPDX! I’ve been scouring the internet for someone who can compare the 5300 vs 7500, and I think you might be the only one! 1. Is the difference in noise significant enough that you can do something with the 7500 while blending that you can’t with the 5300? (i.e. have a conversation without yelling, hear the tv, etc). Or is the 7500 still too loud for that kind of stuff? 2. Did you notice any blending performance difference between the 5300 and 7500? Or was that part the same? Thank you so much! Hope you read this, I’m struggling trying to decide between the two of them! 1) Standing right in front of the machine, I think you couldn’t have an enjoyable conversation with either one. I think you can better hear what someone is saying to you with the 7500 but it would not be enjoyable to converse as the noise feedback in the ear from the machine makes it hard to respond without overcompensating and thus yelling. We have a townhouse style house and if I walk 10 feet away from the 7500 I could have a conversation but not so much with the 5300s. Trying the 5300s at my mom’s house which is big and has an open floor plan, I could not hold a conversation even 10 feet away at all while it was running. (I am sure house acoustics also come into play). When I am right in front of both machines, the 5300 sounds incredibly louder to me — it is very noticeable! So much louder that for the 5300 I definitely feel compelled to wear earplugs but for the 7500 it doesn’t feel as necessary although I would definitely recommend it for hearing conservation! I’ll just add that the 5300s made my ears ring throughout the day (even wearing earplugs) and since I got the 7500 I have not had any problems with that whatsoever. Fantastic feedback SquirrelPDX – Thank you again for your excellent contribution! I was still going back and forth between the 5300 and 7500 even up until today when I saw your post. It really helped to read about your experiences since you used both models firsthand(and actually switched from the 5300 to the 7500 because you liked it better). What you wrote about how it sounded 10 feet away was what tipped the scales for me. If it’s going to be quieter in the next room and not bug my kids/wife as much, that’s worth it to me. I’m happy to say that my 7500 is ordered and will soon be on its way. Thank you so much! A difference in 10 decibels is a 10x difference. Compared to common environment readings 85 is considered equivalent to city traffic inside a car and 95 is a Jack Hammer or subway train – reference: http://www.gcaudio.com/resources/howtos/loudness.html. May your new Vitamix provide you with many years of healthy blending! SquirrelPDX – thank you so much for providing the results of your findings (we will include them above in the article). Much appreciated. As we’ve said, when you hear them both it is pretty obvious that there is a difference. Our results were very much in alignment to yours (100db vs 92db noting that the app states it is limited to 100 max accurate reading). Has anyone noticed if the 5300 produces the black specs that people with the other models have been complaining about? YES – after over 30 washes, I put 2 cups of plain water in it – started it up and was so very upset to see the over whelming amount if Teflon still coming from the blade of the mixer… I dumped it out on a coffee filter and it was just like I make coffee and shake the grinds out of the filter – I kid you not THATS how much Teflon was left behind – when I called the company they gave me a complete BS statement claiming the FDA approves that this is within acceptable amount of teflon to consume….I beg to differ. – I ordered my vita mix direct from vita cost – and I sent it back. Im very skeptical of ordering another one in the future and fear it will have the same issue. for the vita-mix being such a health conscious purchase – there is nothing health about drinking pure poison in the form of teflon. Erin, if this is what you actually experienced then there appears to be an issue with your particular container. You should not see that much residue from, even with those containers that demonstrate some level of black flecks. You should request a new container from Vitamix; they are very responsive to specific problems with their products. I’m just a fellow consumer/customer, but I used the 5300s for 5 weeks and didn’t notice any black specs .. hope that helps. Carmen, the one we use did not produce black specs. I am sorry to hear that Carmen. We have heard that they are currently addressing the issue so hopefully you won’t need to wait long. Saw these at Costco a few days ago, too, and this review has been very helpful. The rep. told me it is 30% quieter than the 5200…not the same figure used for the G series. Because it is only $30 more than a reconditioned 5200 (but with the full 7-year warranty) I was super tempted to get one. Reading this review (+ my own questions) has given me pause, however. My big question (since I was leaning toward the noisier 5200 anyway): Who makes the 5300 motor? I’m thinking there has to be a reason they are offering this so reasonably at Costco. Is this new motor made in Sweden like the others, or is it from somewhere else (China?). Does anyone know? I may end up calling Vitamix if no one does (though ack — it’s so hard to get through to them). Like everyone else, I am concerned with longevity, and not keen on a “prototype” sort of product that ends up having problems down the road. It’s too big of a purchase to make a mistake. Shasta, I don’t know who makes the 5300 motor. We were told at some point that some of the motors came from Mexico but I don’t know if that includes the 5300. I suggest you do call Vitamix for a definitive answer. Anyway, from what I gathered, the case on the 5300 is the same as the 5200 — no additional sound dampening. They told me it is not as quiet as the G-series (as we already knew). All of the motors (regardless of series, it seems) are made in either Sweden or Mexico to the same specs; it just depends on what location is supplying them at any given time. I was told the G-series motors are actually just as loud; it’s the casing that makes them quieter to the user. SquirrelPDX, I asked my husband if he would pay $100 more to have a quieter blender (albeit not QUIET, as we know), and he said that yes, he would. He’s another one with sensitive hearing. Guess that settles the decision. I also asked if, since the “flaking Teflon” issue has been solved, reconditioned units will ship with the improved carafes. (I had previously learned that the new units would not be shipped with them until autumn.) The representative did not know. Ah well….. Thank you so much for sharing your findings Shasta! JinnyXO, thank you for your feedback. Iit is our pleasure to provide information customers need to be informed. We are happy to know we have helped you in your decision process. Let us know if we can be of further service. Seriously want to know – do we know FOR SURE about the loudness of the 5300 compared to the 7500? On the box of the 5300 it DOES say it has a quieter motor leading one to believe it is quieter than other C-series models… so is that not true? Is the 7500 truly quieter? Does anyone know? We don’t know for sure how much quieter it is but, compared to other C-Series models the G-series 7500/750 is 40% quieter (7-decibels less). If I recall correctly, the box does not include what it is “quieter” than. Interesting. My only other thought though is that we do know that the 5300 motor is different than other c series which may mean the loudness is different. How exactly, we don’t know. If anyone is interested in a crowdsourcing experiment, I just measured the loudness on my 5300s. Anyone with a 7500 want to try for comparison? I put 32 oz of water in the container. I downloaded the free sound level meter app called “Decibel 10th” and pointed the microphone toward the base of the machine with my iphone. The iphone was right up to the machine (perpendicular to the machine as the microphone was facing toward the machine base). Using this app, the noise on vitamix highest power level 10 was registering upwards to 100db. For an apples to apples comparison, if someone has a 7500 they would also need to use an iphone as the sound quality is superior to android and the exact same app (decibel 10th) as sound level meter apps vary greatly from eachother as well as make sure the water level is exactly 32oz. Just a crazy thought. It won’t be entirely accurate, but give an idea! I should have added though that while it peaked to 100, average db was more like 97-98. Still too high without using hearing protection. Great idea – thank you! We have it on our list to follow your experiment with the 7500. Just saw the 5300 today at Costco and thought how can they offer the wider blade with the 5200 motor? So, the 6300 is just for Costco? 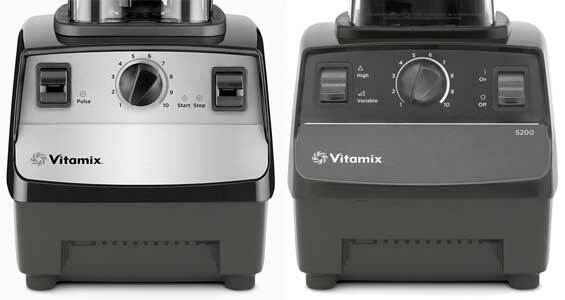 I spoke with Vitamix in December asking where I could see a demo of the 5200 and they said Costco. So off we went but the road show guy was doing demos with the 6300. We liked the presets so home we went with it. It was much more $ than the 5200 but I’ve been pleased with the presets. Use it almost every day. 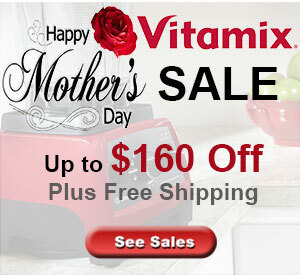 When I looked online I was shocked that Vitamix lists it at a higher price than the 750. How could it cost more yet be lower horsepower, have fewer settings and a taller profile? I’ve been meaning to call and ask them that. Still love what I have though it’s a pain to get almond butter or pudding out of a tall container. A soda fountain spoon works but I wish it came with a tall spatula. Jo, congratulations on your purchase! Indeed the presets can be a great addition. Yes, the 6300 is an exclusive Costco model (although can be purchased direct as a Reconditioned Standard Programs) and Vitamix lists it on their website for a higher price then it actually sells for. It is a C-Series with the taller container while the 750 is the newer G-Series version with low-profile container and more preset programs. The taller container is not as easy to remove blends as the low-profile but one advantage is that you can blend a smaller volume in it. Thank you for your feedback. May you enjoy healthy blends in your Vitamix for many years! Got Greens: you state that it is “best not to rely on reading between the lines and to go with the known facts or at least the most confident information available.” But by scaremongering readers into thinking that the 5300 is an “experimental” model, that is exactly what you are doing. Why? How are you justifying calling the 5300 “experimental” in any way? A high-end appliance manufacturer developed it, and one of the largest retailers in the USA decided to sell it instead of the 5200. Does that sound like an “experiment” to you? Do you really believe that one of the largest retailers in the USA is conducting an “experiment” on their members – while simultaneously offering a lifetime return on that item? Logic dictates that Costco believes that the 5300 is a superior machine to the 5200 and probably closely comparable to the 750 at a vastly reduced price. There is a good chance that the motor in the 5300 is identical – or nearly so – to the one in the 5200. It’s possible that the HP/amp ratings are being used as marketing tools. Until someone opens both up and compares, we won’t know for sure. Hello Skeptic – readers have been relying on our Vitamix reviews and recommendations for over 8 years and we are huge fans of their blenders. We do our best to provide accurate, clear details of the facts known to us. Clearly the 5300 is not an “experiment” as you suggest but as we have said, it is a new hybrid model never before seen in the market that specifically goes against previous recommendations of the manufacturer. For those reasons we can not recommend it over the time-tested 5200 & 7500 models that are not hybridized. But make no mistake it is still a Vitamix. What “dictates” what Costco does/believes is contracts and products that sell. Vitamix provides a unique model created only for Costco and they don’t sell other models (we saw this in the past with the 5200c and the 6300). Those previous models were re-branded from existing models (5200 and pro 500). The 5300 is a completely new model mixing technology of the C-series and G-series blenders. What logic does suggest is that Vitamix is providing what users were asking for – a way to use the very popular G-Series container with a less expensive C-Series blender. Like I said, time will tell. 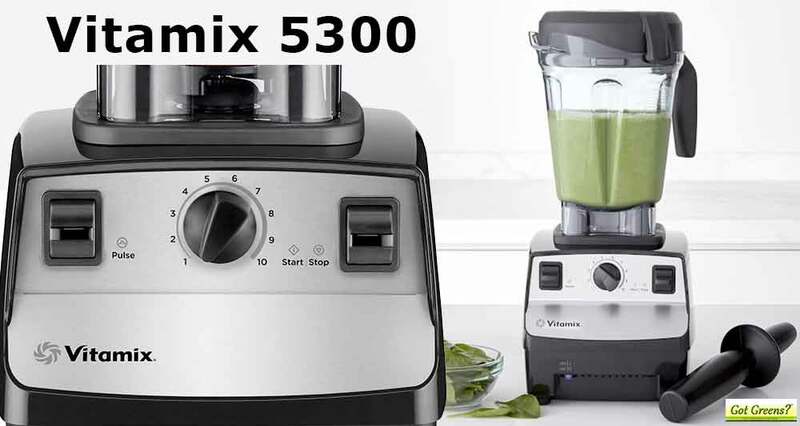 I imagine if the 5300 meets projections without issue we will soon see a new C-Series model sold direct by Vitamix that is essentially the same as the 5300. In the end, the 5300 is a Vitamix and is guaranteed to be a quality high-performance blender, but we feel it is important to know that it is NOT the same as the more advanced, proven G-Series blenders, like the 7500. Feel free to contact Vitamix customer support for additional information. Also, I think you’ll find the following info helpful: I was at Costco yesterday and Vitamix was on-site. I asked the Vitamix rep specifically, “Is the motor in the 5300 the same as the one in the 750?” The answer was YES, exactly the same. I asked for clarification: “Is the motor in the 750 considered a “next gen” motor? The answer was YES, the motor in the 5300 is the exact same as the motor in other “next gen” models. He further clarified that the difference is in the motor HOUSING, which does not baffle the sound in the same way as the 750. So the 5300 may sound slightly louder than the 750. Additionally, Costco is selling the 5300 for $40 off right now. At $360 for the 5300 vs. $650 for the 750 model, there is no question in my mind which is the better value. I’m sure some readers will still prefer the 750 at the much more expensive price, but not me. Skeptic – it is not correct that the 5300 “is the same motor as in the 750” – it is not a next gen model with pre-program blend cycles. As we mentioned above – direct communication from the Vitamix Product Development Department (the engineers that design the blender) confirmed that the 5300 is not the same as the Next Generation (7500,750). Also keep in mind that the 750, in addition to the advanced sound reducing base and motor, has program cycles, DVD, different cookbook, lighted controls, comes in Brushed Stainless and is priced from $519 (7500 from $429) reconditioned. Also, the G-Series blenders are rated at 40% quieter with a 7 decibel reduction compared to C-Series blenders; in our experience this is significant. I went w/ the 5300 from Costco and wanted to comment on “smoothie consistency”. I make smoothies for 2 people everytime, so about 4 cups total volume. It blended as you would expect, flawlessesly. I think the nice woman who had papaya chunks maybe tried using less than 2 cups of total ingredients, but of course I don’t know for sure. I will say that I was advised to buy the “taller style” top if I every plan on using small amounts (less than 2 cups) of total material in the blender. Wonderful JJ! So good to hear that you are pleased. We recommend a minimum of 3 cups for efficient blending with the low-profile container. If you are going to be blending less, we recommend either the 48-oz or 32-oz container (there isn’t a need to buy a taller, second, 64-oz container for smaller blends). May you enjoy making healthy meals in your Vitamix for many years! We made soup in Vitamix 5300 and the lid smells and after washing in vinegar the smell does not go away. I am not sure after all this smell is not going away. I called Vitamix and they said the same to put it in Vinegar. But smell not going away. Anyone has any solutions? Do you think I should return? London, what you are describing is not usual. If you washed the lid shortly after using it and used vinegar it should not have a “bad” smell. We do not have any additional suggestion to remedy the smell except lemon juice. Did it have the smell before you used it? I use a quarter of lemon to rub the lid. It seems to help reduce the smell. Amazed by the smooth consistency that my new vitamix 5300 produced even after adding the seeds in the butternut squash soup. I just bought the 5300s from Costco and I love it. It is AMAZING!! The sticker on the back of my 5300s says it is 2.3 horsepower and 11.5 amps. It is true, as has been described about the low profile squatty container, that for smaller quantities, the blender blades do not “pick it up.” This would be the same though for the 7500. I ordered another 32 oz wet container (regular style) for 99$ to make salad dressings, etc. in for smaller quantity batches. For me, I bought the 5300 over the 7500 because I personally think they are almost the same machine and I like that the 5300 has a stainless steel face to it. And since Costco sells it, if I don’t like it in 4 weeks, I can take it back. I have already made soups, hummus, salad dressings, and made cookie dough with it. It blends everything PERFECTLY SMOOTH WITH NO CHUNKS (if that is my desired effect). It can make soups piping hot. I am already incredibly happy with this blender. Thank you so much for returning to share your review of the 5300 SquirrelPDX! It sounds like this is your first Vitamix?? It’s wonderful to hear how pleased you are. If you think of it, please come back and let us know how you are liking the blender after 4 weeks of using it. May your blender provide you with many years of healthy meals! I definitely will let you know what I think in 4 weeks. I did think it was strange too that the back says 2.3 horsepower. It does seem really loud to me– so I am not sure if it truly is as quiet as the 7500. Being in the speech pathology field, I would recommend for anyone using vitamixes to use earplugs! Hearing conservation is so important! Thanks for your feedback JJ! 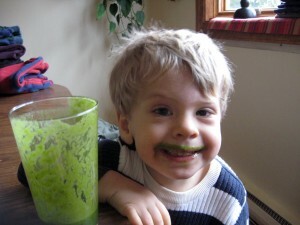 We agree, it is not a “bad blender” – it is a Vitamix after all. Stated peak horsepower without data doesn’t provide any helpful comparison information in our opinion (see our view of horsepower). Both the 5200 and 5300 are 11.5 amp, whereas the G-Series motors are 12 amp. It’s truly a shame they no longer report the actual wattage of the blender. Please do let us know if something we share is confusing. Hi there. Curious if you have tested the 5300 or done a side by side comparison? It’s seems a bit premature to judge this model otherwise. I too am torn between both (for me its the new 5300 or the recon 7500) In my conversations with vitamix, this is the same, newer motor as in the Next Gen model however situated in the classic base. (2.2 peak motor ((not 2.1)) quoted motor w/ additional dampening, Radial cooling fan, thermal protection system) Essentially they have stated these are the same machines with a different base (case) design. Does anyone have the 5300 that can actually comment on it? If not I may just have to buy both and compare myself. Hello Fletch, thank you for your great feedback, much appreciated. Have not yet done a complete side by side. It looks like Vitamix has just changed the technical description of the 5300 (it was 12 amp/2.1 HP – now it is 11.5 amp/2.2 HP). As mentioned, there is confusion even within Vitamix as to exactly details of this model since it is so new. We’ve spoken with different representatives all stating different info; all did say “it is a new motor, different than the Next Gen motor”. Also, the base of the G-Series is different than the Classic 5300 base as it had to be redesigned to incorporate the new sound dampening technology (all Classic and Next Gen blenders have radial cooling fan and thermal protection). They also continue to state that “you can not use the low-profile container with C-Series models” when we asked why the 5300 can, the answer to date has been “it just can with more power” yet the 5200 ad 5300 are both 11.5 amp motors. If it were simply “the same machine with different base” then why does it have a different base, why is it considered a C-Series and why is the motor a different power? You may want to see our take on reported horsepower. Premature to judge? perhaps… as I’ve said before time will tell, but why risk your investment with a new hybrid model when you can get the proven more advanced model (for less cost if reconditioned)? Ultimately it is a Viamix and they have you covered with an excellent reputation and warranty. We would love to know your experience if you do your own comparison. Hi! I actually have done the side by side comparison of the 5200 and the 5300. I am actually beyond disappointed with the 5300, and plan to return it to Costco. Originally, I was excited because of the lower profile design. Having it fit under the cabinet was a big plus for me, but it doesn’t blend well. Maybe it is due to the wider base, but I tried blending a smoothie for breakfast, and literally after a good 45 seconds, had a good sized chunk of frozen papaya left in the middle. Also, I’ve always my own baby food and I was not impressed with it here as well. Unless I made a large enough batch to pop out over the actual blades I couldn’t use the wand to move the food around. Again, because the base is wide…it takes a bit more to have the content fully over the blades. Hope that makes sense. Try it out for yourself if you’d like, but I am a huge fan of Vitamix and did not even like this one. *By the way, I had a 5200 for about 2 years, and my only gripe was the it did not fit under the cabinet. I know there are higher models out there, but that machine is a beast 🙂 I let my little sister have it when she moved out, and I genuinely regret that move now lol!! Ana, thank you for sharing your 5300 vs 5200 comparison. Blending small volumes is the one drawback of the wider, low-profile container. It sounds like you would be very happy with your 5200 and a 48oz container which fits under most cabinets and can do small volumes at least as well as the 5200 tall container. Thank you again for your comparison! Thanks for the information. Those are valid points. I am still debating between the 7500 and 5300s but will let you know if I get the 5300. I wish the 7500 came in silver and black like the 5300 as I feel the all black option is ugly. Ugh. It is a pleasure to help in any way we can. There is another possible option. The Creations Elite, a true G-Series model, has a black with grey faceplate similar to the 5300 but its availability is sparse and if you purchase new it only is available with the 48oz container (it is sometimes available reconditioned with the low-profile 64-oz container). 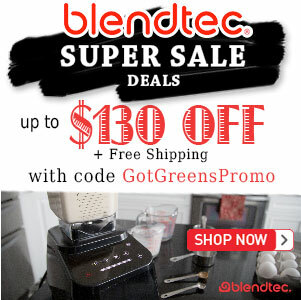 Bottom line – whichever you choose, it will be a fantastic Vitamix blender. If you have further questions please let us know. I contacted vitamix and they told me that the difference between the 7500 and the 5300s from Costco were “minimal.” In their email to me they also wrote: “The bottom line is you can probably get a machine that is almost identical to the G-series, but at a much lower cost, if you buy the 5300 at Costco.” Reading between the lines, It sounds like they are pretty similar …. Thank you for your feedback SquirelPDX. We have spent a lot of time conversing with Vitamix about this model as there has been some confusion both by consumers and those within Vitamix (I’m sure with more time it will all be cleared up). I disagree that you will “probably get a machine that is almost identical to the G-Series”. You basically get a C-Series with an new hybrid motor to run the low-profile container. The 5300 has a “new” motor different from the G-Series. It also does not have the improved base design to reduce sound and improve stability. You can read more in the article above.